When your mind is drained, your body aches and your energy levels are close to zero, its time for a body detox. Imagine yourself having clearer skin, sharper mind, energy revitalized, stronger immune system and feeling healthy inside out – – these are the things that you can enjoy by undergoing a detoxification program. First, you have to reduce toxins in your body. Try to cut down on the following: cigarettes, alcohol, coffee, eating foods with saturated fats and refined sugars (cola and ketchup contains a lot) – these acts as toxins in your body and as a hindrance to your healing development. The use of household cleaners that are chemical-based and personal health care products such as shampoos, toothpaste, deodorants and cleansers should be reduced as well. These chemicals are inside us; we never really fully eliminate them unless going to a process of detoxification. There are many ways to detox the body. It’s up to you to choose which suits your lifestyle and preference. Drinking only fresh fruits and vegetables such as carrot, spinach, celery, cabbage, apple, pineapple and cranberry (avoid citrus fruits). An effective way of discharging toxins, it also provides loads of nutrients as well as enzymes to lessen the intensity of the cleansing process to an easy stage. Fast weight loss is the main benefit from juice fasting. A person may drop 30-40 lbs on a 30-day juice fast. 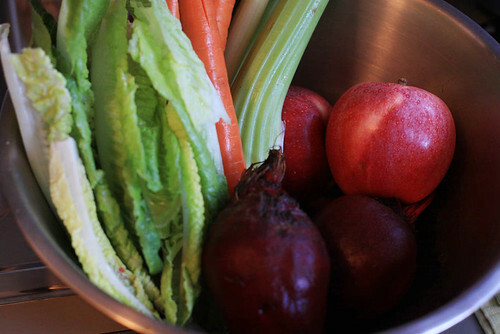 By juice fasting, a person gains self-confidence and feels light and clean. Duration of juice fasting is usually 1-3 days. Medical administration and careful assessment is required for longer fasting. Only water is consumed during a water fast. Water lets the digestive tract and organs to rest completely, allowing all of your energy to self-repair and strengthen damaged organs. It also eliminates toxin build-ups. Water fasting not only eliminates obstruction and aids in self-healing, it is also revitalizing and motivating to make a fresh start. Here are gentler and safer ways to detox your body that you can try out or incorporate different methods as part your routine. Whole grains, fresh fruits and vegetables instead of packaged and fast foods that are high on fats and sugar can become part of your daily lifestyle in maintaining good health. The sauna is widely used by many cultures as a regular part of detox. It is a great method of removing chemicals buildups in fat cells. Saunas are usually combined with diet, exercise and nutritional supplements. Again, with the combination of diet, exercise and nutritional supplements, skin brushing is also a gentle way of detoxing. It removes old skin cells, stimulates the lymph system and draws out toxins through the skin. A dry skin brush made of soft vegetable bristles should be used. Before taking a shower, lightly brush your feet in circular motion towards the chest area for a minute or two. Through breathing exercise, the bloodstream thoroughly oxygenates thus giving energy and improves the body’s physical process. Different positions lightly massage the internal organs and stimulate them to slowly discharge toxins. These cleansing methods are just a guide to what it can do to improve your health. It is necessary to know why detox is important and understand the different ways on how to detox the body before you begin with the different programs.